You are a real legend of carp fishing! Many years ago, when I made my first cast with carp rig I’ve learned “how–to” from a carp fishing book “To catch a carp” written by Tim Paisley, where he mention Your name many times. Also whenever I speak with my carp fishing friends from Russia or Czechia, everyone knows You. So, it’s just a couple of years when You’ve started with catching some freshwater monsters, isn’t it? 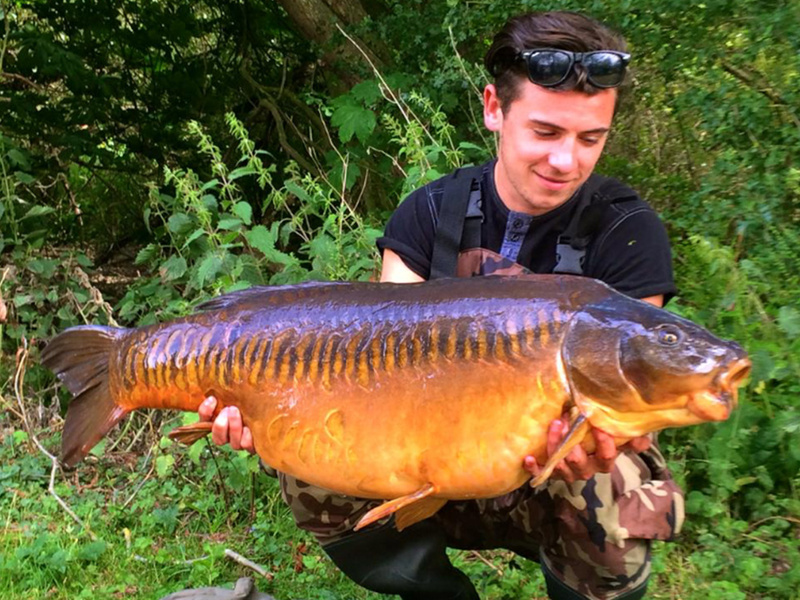 Why have You chosen carp fishing? I have been carp fishing for 48 years continually so its hardly recent, i caught fish that were as big as possible in those waters. What more can you do? 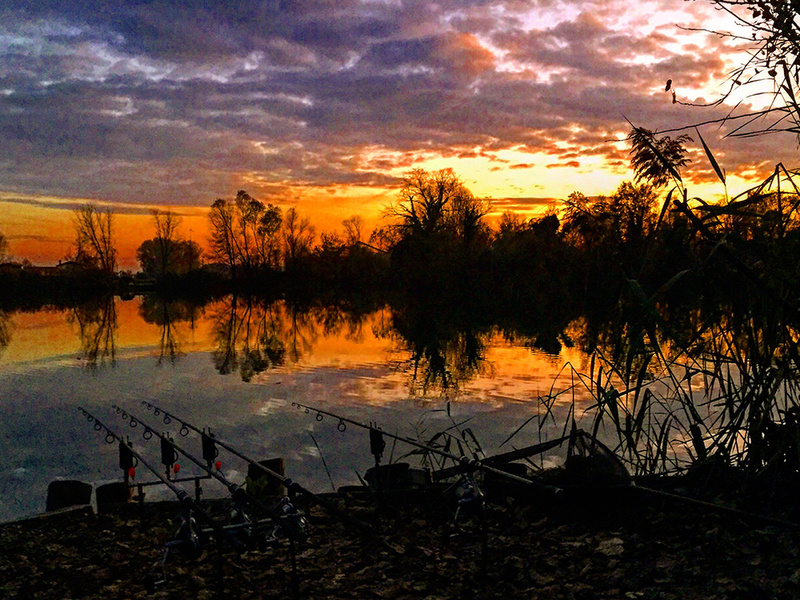 To me carp fishing is about so much more than just about the size of the fish you catch. It’s about the journey and more, about the way I do it that makes me happy. Carp are different from another fish. They come in all shapes and sizes and eat such a variation of food items! 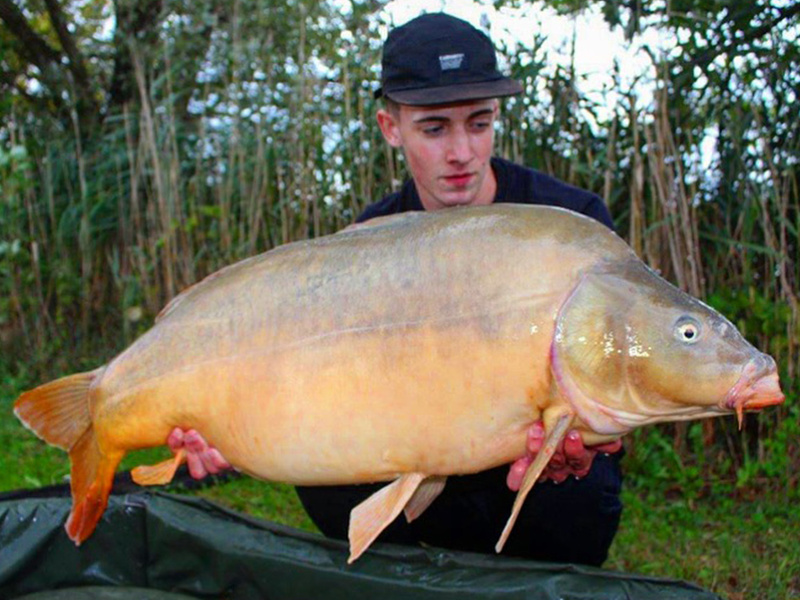 There is far more to interest me with carp, because they are incredible creatures. Last time on ECFCH2017 You’ve introduced to my juniour crew an outstanding casting technique. Which tackle (rod, reel, line) could You recommend for making very long casts and what is the maximim distance You’ve ever cast? Well, I work for Sonik Sports and naturally I like their equipment. I happen to love the Gravity X rods and I really like the Dominator X reels; they are the best reels i have ever seen for the money, I like Gardner HD line – the new one its very good indeed. As far as my casting achievements, the longest cast I have made with a carp rod was 208 (!) meters, but this was with sensible line,– not silly thin nylon that makes you look good. To tell You the truth I use just a few carp rigs as a blowback rig or helicopter rig. Which ones belong to Your favorite and why? 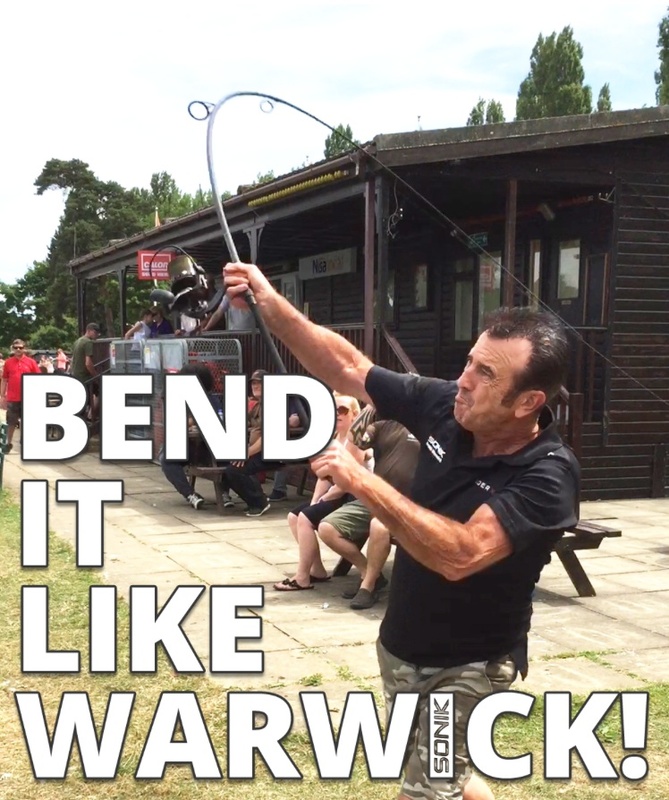 I use a longshank blow back rig a lot. With a shrink tube line aligner it turns quickly in the mouth looking for a grip. 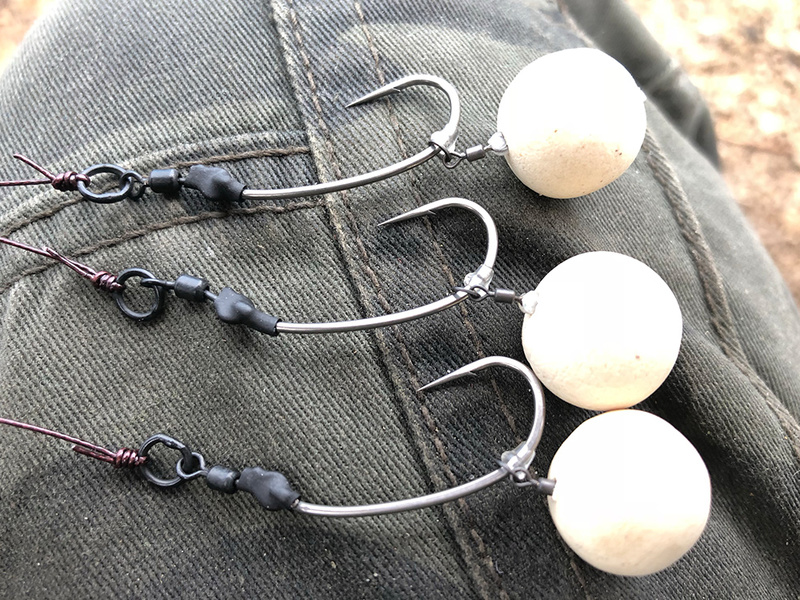 I also often use it with two of my inventions: the Anchor rig and the Shot on the hook rig, put these three together and its very effective at anti eject, of course I often use my other invention the Chod rig, which I have been using this since year 1996. 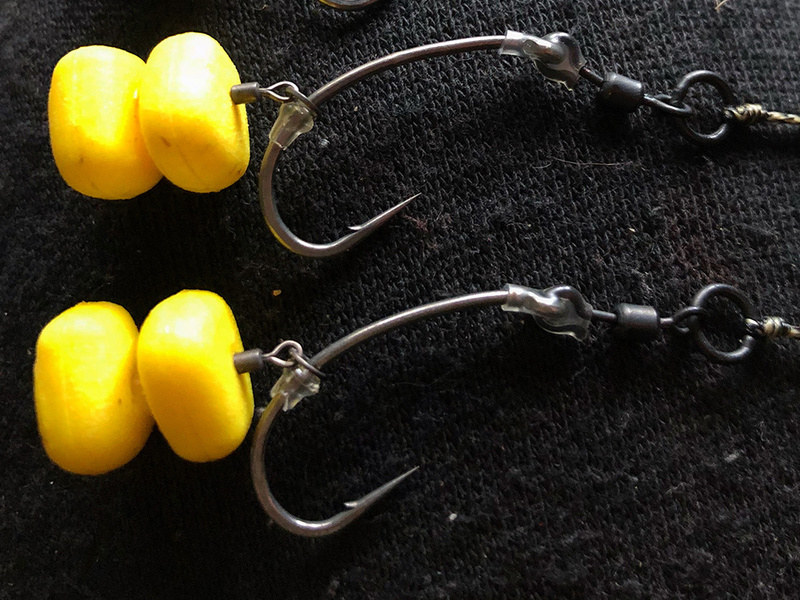 Simply I like a rig that is easy to use and is hard for carp to mess with. 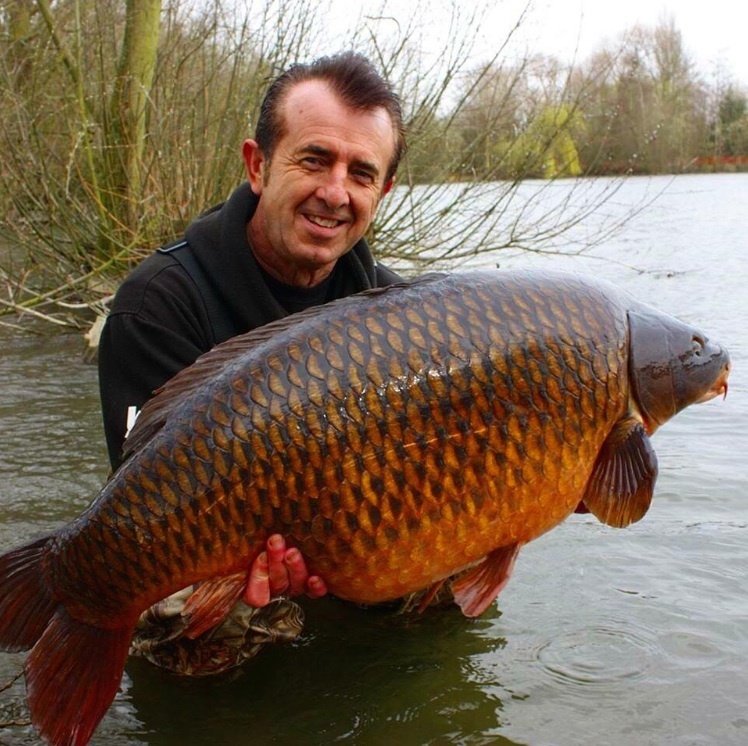 At present time there are thousands of new baits and boilies on carp fishing market. Do You have some favorites or just use Your own? I work with a British company called Spotted Fin as far as I am concerned the bait they do is as good as it gets. 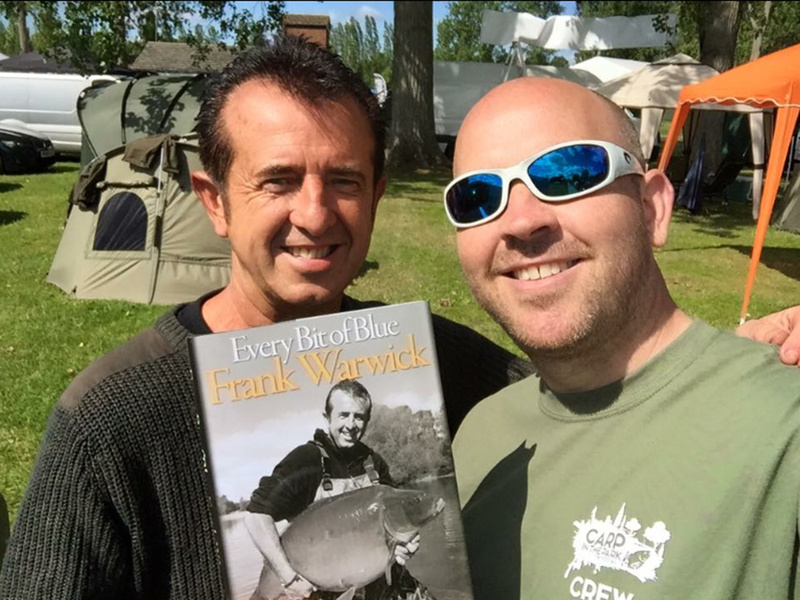 Also I have my own special hook bait range – a Frank Warwick signature range with them. I am an advisor to this company and consultant. They have two monumental food baits called The Catalyst and a new Fishmeal type bait based on my recipe called Smokey Jack, which is brilliant and I’ve caught some very good fish on it recently. As far as boilie characteristics as taste, size, color etc., will You recommend something special for young anglers which don’t have enough budget to spend lots of money for carp food? 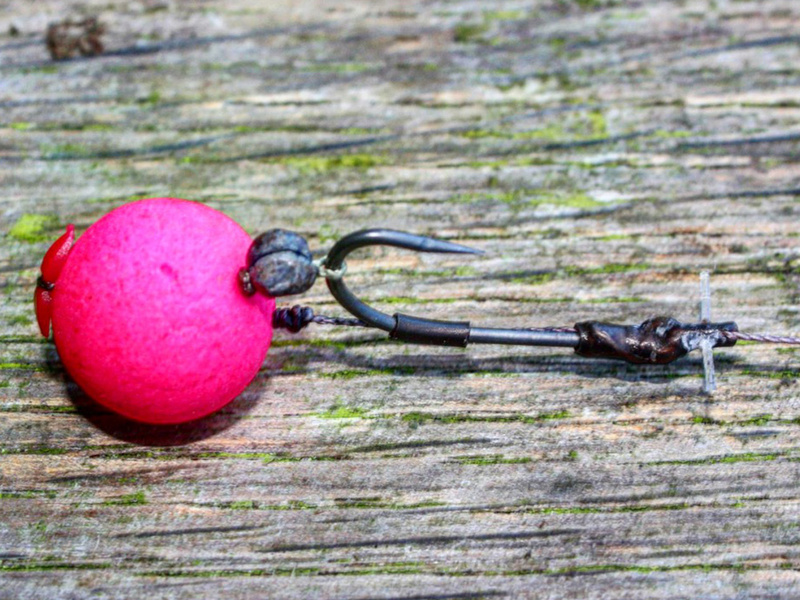 I would use the method feeder with either maize plastic corn or a wafter barrel boilie as hook bait. 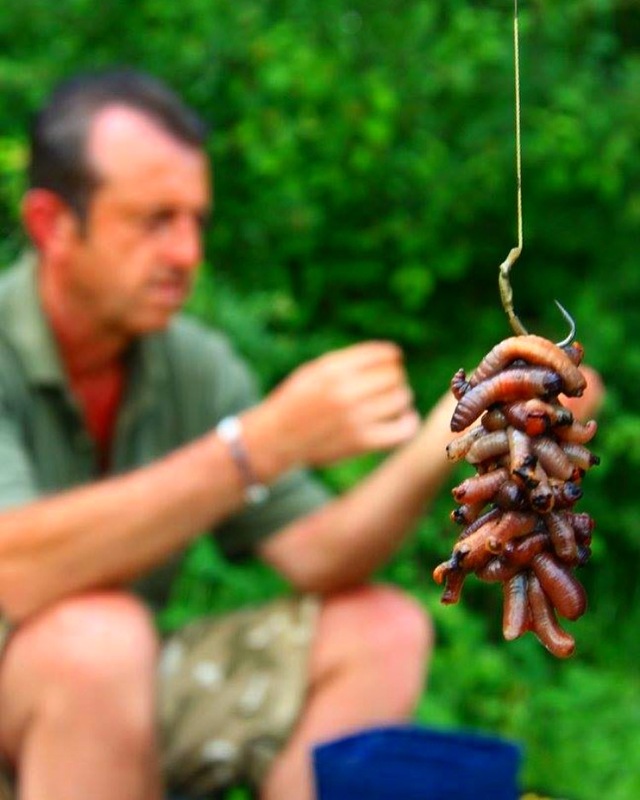 Let other anglers who can afford it feed the carp if you dont have much money the method feeder is an inexpensive way of catching plenty of fish and its often overlooked by boilie only anglers. Your personal bests are 64.6 lb mirror and 59.10 lb common carps. Is it correct or perhaps You’ve just overestimated this enourmous size too? Which kind of carp belongs to Your favorite? No, my personal best mirror is 67.11 and my PB common is 70.2. You have read old news i think with these figures. I prefer mirror carp. People all over the world always dream how to join together hobby and work. You were successful in fulfilling this dream. As an angling consultant do You earn enough for living or have any additional job(s)? I have been an angling consultant living purely from fishing related work since 1997. I dont earn as much as i did in perhaps 2002 to 2010 but that was a really busy time in my life, where I was with many companies and it added up to a very lot of money each year, I got a bit fed up of being told what to do constantly by business heads not anglers, it was all about money. So I chose to only work with nice friendly companies that are good people, happiness means more than money alone, yes I pay my bills and still make a nice living from fishing, for a while recently (two years ago) I went welding in Norway. The money there is amazing and it was nice to have a change of scenery for a change, but i couldn’t do it permanently – its not like fishing. Besides carp fishing and work You have some hobbies, don’t You? I’ve heard You do boxing or treasure hunting. Perhaps something else? I used to race motorcycles to a very high level, which I did for 4 years British Superbikes. I raced in many different classes the 250, 500 and 1000cc. A serious accident ended my career in that. I also enjoyed boxing and kick boxing, as well as judo from being a kid, I also like treasure hunting with a metal detector and have just made some amazing finds. You know, it’s always important being supported from a family, especially wife 😉 My wife for example loves fishing very much, however now we have a little baby and she can’t go out with me as she did before. Does Your family share carp fishing passion with You? My three children all love fishing and my two sons in particular have become very good anglers indeed. They accompany me all over Europe and its one of lifes great pleasures seeing them enjoy their captures. And the memories are special, they have always been very supportive, especially my wife who has never complained at my often long missing periods when I was away fishing all over the world. She is great! You have visited probably just a few times Czechia. What do You think about carp population I czech waters? This fish belongs without doubts to the national treasure in this country. I only came to Czech with the England juniors at the World Junior Event, so i actually didn’t get to fish myself sadly, from what I see you have lots of very nice waters with and a very good head of carp in there. So maybe one time I will get to fish for myself. 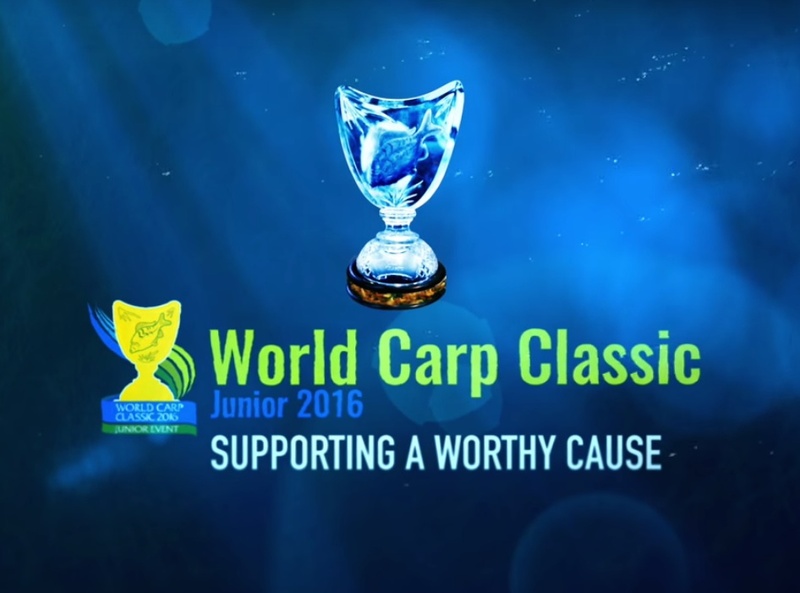 And the last question: What will You wish to our young generation of anglers, not only in Europe, but all over the world? I see angling as a fading light to some degree. I think we have seen the peak before the decline, I say this sadly because the younger generations seem to want to sit in front of computer screens or X boxes living in a virtual reality rather than experience things like we did as kids, I see none of the young ones read books any more rarely magazines either, if its not on Youtube forget it – they dont want to know. I see all of these people springing up making films for Youtube, getting big followings yet. Many have never wrote an article or caught much never mind invented something yet they are popular, its the way things change I guess, its no longer “oh he is a good writer” its “oh he does good filmed blogs” im not sure I feel great about that. Thank You very much for interview, Frank! Tight lines!